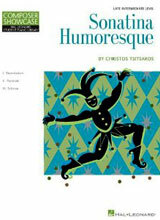 (Short Daily Exercises to Build Flexibility and Strength) Hal Leonard Corporation, 2011. 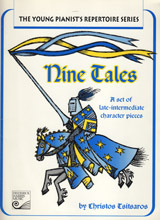 (A Late Intermediate Medley of Seven Traditional Kolendy), Hal Leonard Corporation, 2011. (Late Intermediate Piano Solo, Composer Showcase), Hal Leonard Corporation, 2009. 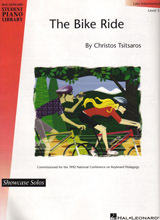 (Late Intermediate Piano Solo, Showcase Solos), Hal Leonard Corporation, second edition, 2007. 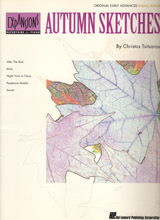 (Elementary Piano Solo, Showcase Solos), Hal Leonard Corporation, 2006. 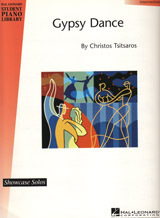 (Nine Late Intermediate Character Piano Pieces Based on Short Poems by Christos Tsitsaros, Composer Showcase), Hal Leonard Corporation, 2004. 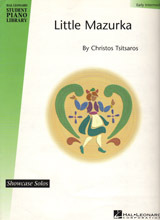 (Intermediate Piano Solo, Showcase Solos), Hal Leonard Corporation, 2001. 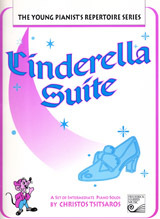 (Piano Arrangement, Patriotic Showcase Solos), Hal Leonard Corporation, 2001. Late Intermediate Piano Solos. The Young Pianist Repertoire Series. Frederick Harris Music Corporation, 1996. 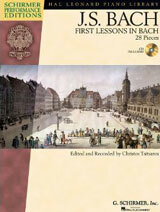 Early Intermediate Piano Duets, The Young Pianist’s Repertoire Series. Frederick Harris Music, 1998. 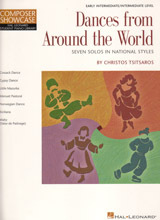 Various early elementary piano solo contributions to the Hal Leonard Piano Library (Piano Solos, vol.5), Hal Leonard Publishing Corporation, 1998. Piano Duet Arrangements, co-authored with colleague Dr. Reid Alexander, 1996. 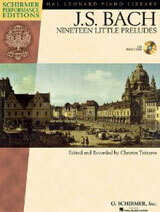 Various Contributions to the Hal Leonard Student Piano Library, a new piano method for children. 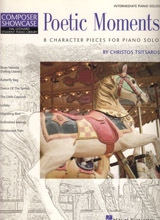 (Piano Solo Books, vol. 1, 2, 3.) Hal Leonard Publishing Corporation, 1996. 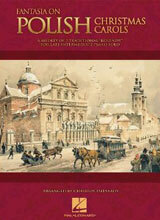 Christmas Music from Around the World Piano Duet Arrangements, co-authored with colleague Reid Alexander. Frederick Harris Music, 1995. 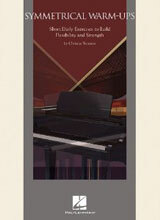 Early Advanced Piano Solos, a collection of five pieces under the series Expansions. Hal Leonard Publishing Corporation, 1993. Intermediate Piano Solos, Hal Leonard Publishing Corporation, 1992. Schrimer Performance Editions, G. Schirmer, Inc., New York, NY, 2012. Schirmer Performance Editions. G. Schirmer, Inc., New York, NY, 2009. J.S. 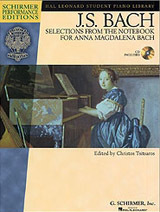 Bach - Selections from the Notebook for Anna Magdalena Bach. G. Schirmer Performance Editions. G. Schirmer, Inc., New York, NY, 2005.